The Pulser controllers are intended for control of radiators or electric heating batteries. They can either be mounted on a wall or in a cabinet. The controllers pulse the entire power output ON/OFF and utilise timeproportional triac-control. Automatic adaption of control function, P or PI-control. Pulser-DSP is a room controller intended for electric heating control. 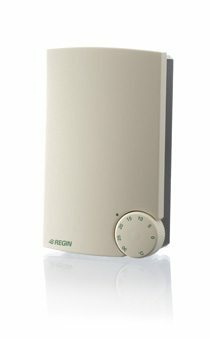 The controller can be connected to 1-phase or 2-phase electric heating i.e. electric batteries, radiators etc. Pulser DSP has a built-in sensor and an external sensor can be used, as well. 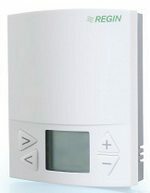 Presence detector can be connected for control of so called comfort heating. This means that, when the room is empty, the controller is set to stand-by position with reduced setpoint. Setpoint, P-band and stand-by settings etc. are set by using the buttons on the controller. different running modes: present, nonpresent and stand-by. The basic setpoint can be shifted with different values for heating and cooling. A window contact can be used to block the control when a window is open. 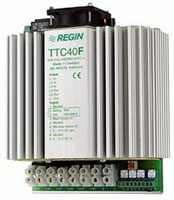 The controller TTC2000 is designed for wall-mounting and can be used with internal or external setpoint. Automatic adaption of control function, P or PI control. The controller can also be set to be controlled by an external 0…10 V DC signal. To control extra load the slave board TT-S1 can be easily mounted into the unit. 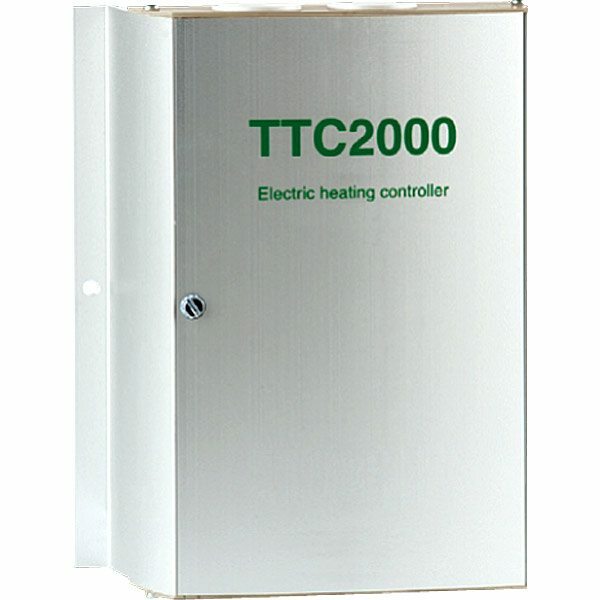 These TTC-electric heating controllers are intended for control of electric heating batteries or radiators. The controller pulses the entire power output ON/OFF and utilise time-proportional triac control. the controller is intended for DIN-rail mounting. Automatic adaption of control function, P or PI control. It can also be set to be controlled by an external 0… 10 V DC signal. Humidity transmitters have a capacitive thin-film element that gives a signal that is proportional to the relative humidity (RH). The measuring element rapidly responds to changes in humitity and can be subjected to up to 100% RH without being damaged. 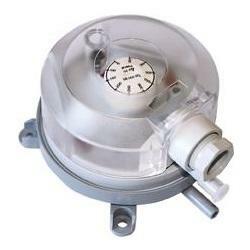 Humidistats are used for controlling humidifying and/or dehumidifying in HVAC systems. The humidistats have human hair or a synthetic element as sensor medium. The hair stretches as the humidity increases. The changes are transmitted to a micro switch.